Endangered is a word we usually associate with animal species, but some languages, too, are dying breeds. Sci-fi visions of the future may focus on soaring skylines and flying cars, but the world in 100 years may not only look different, but sound different too. 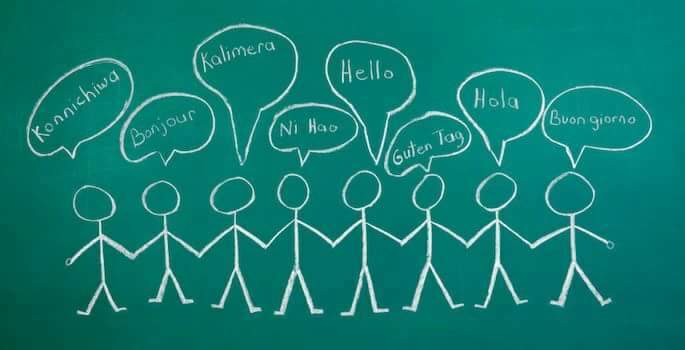 About half of the 6,000 languages that are spoken around the world today will disappear by the end of the century, according to UNESCO estimates. “Languages are disappearing at an unprecedented pace. And when that happens, a unique vision of the world is lost,” said the Endangered Language Project (ELP). “Of the Native American languages of the US, 90% are not being passed on to a new generation, ” ELP said. “While also 90% of Australian aboriginal languages and over 50% of minority languages of Russia are in a similar situation. Most of these languages will cease to be spoken in your lifetime, if language revitalisation programs are not successful. September 2015, the University of Cambridge released a report warning that due to economic growth, languages are dying out faster than the rate of biodiversity loss. “As economies develop, one language often comes to dominate a nation’s political and educational spheres. People are forced to adopt the dominant language or risk being left out in the cold – economically and politically,” the study said. According to a report by the Washington Post, the are some countries that are more linguistically diverse than others. Africa, north America and southeast Asia are among the areas with more idioms. Columbia University linguist predicts 600 languages will remain in 2115, this will be due to the movement of people and parents not teaching their children ‘native’ languages used to particular parts of the world. Dr John McWhorter says languages will also likely become more simple, translating tools will not be enough to preserve linguistic diversity. He said, that a scenario where only one language remains is ‘impossible’. He said that a sci-fi reality where everyone on Earth speaks a single, universally understood language is ‘impossible’, also ruling out a Tower of Babel-like scenario. ‘A language is not just a collection of words and rules; it’s part of a culture, learned early, used with kids, the vehicle of the most intimate and warm feelings,’ he explained. Although, half of the world’s languages are fading there are so many reasons we should learn them, that’s what Dr. John McWhorter aslo stated in his TEDtalk.